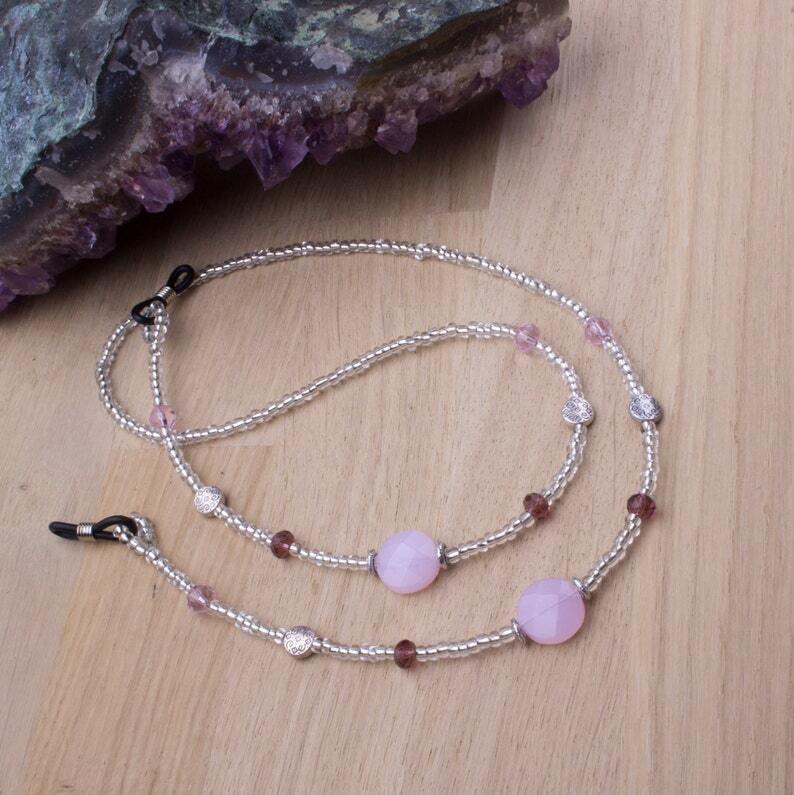 Pink faceted glass coin beads are combined with Tibetan silver fancy discs, purple faceted glass rondelles and pink faceted glass beads. Strung with silver lined beads and finished with spectacle ends to hold your glasses. Approximately 26 inches long.